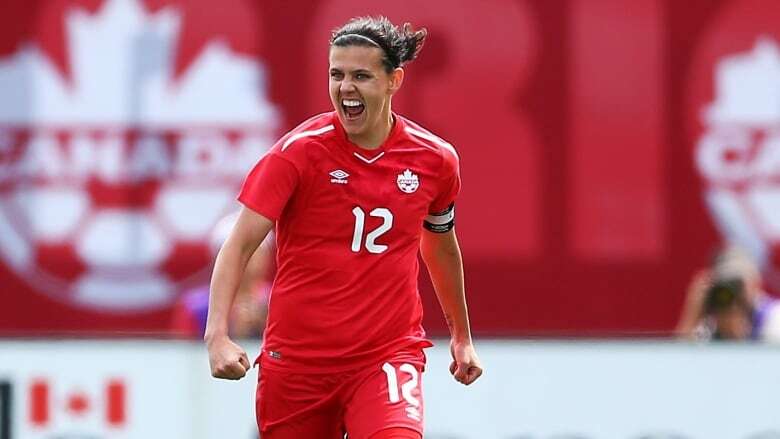 Christine Sinclair has been voted Canadian women's player of the year for the 14th time. Christine Sinclair has been voted Canadian women's soccer player of the year for the 14th time. The 35-year-old from Burnaby, B.C., scored the winning goal in the game that qualified Canada for next year's Women's World Cup in France. And she led Canada in scoring for the 15th time in 19 years, with eight goals and two assists in 12 international matches. Sinclair has scored 177 goals in 274 appearances for Canada. On the club front, she played all 2,160 minutes for the Portland Thorns as they finished second in the NWSL. She scored nine goals and finished tied for third in the league with six assists as the Thorns reached the league championship game. The award was decided by a vote of Canadian media and coaches. The men's winner will be announced Wednesday.